With a stay at this apartment in Fortaleza (Praia de Iracema), you'll be within a 5-minute walk of Iracema Beach and Ponte dos Ingleses. Featured amenities include multilingual staff, luggage storage, and an elevator (lift). Self parking (subject to charges) is available onsite. With a stay at this apartment in Rio de Janeiro (Copacabana), you'll be minutes from Chacrinha State Park and close to Sugar Loaf Mountain. Free self parking is available onsite. With a stay at Isabella Mini Flat in Manaus, you'll be convenient to Capela do Pobre Diabo and Teatro Amazonas. The front desk is staffed during limited hours. Free self parking is available onsite. 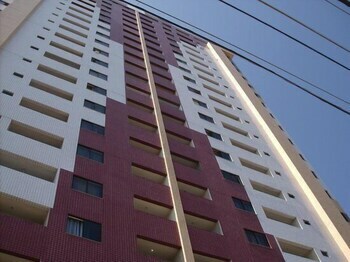 Located in Maceio (Jatiuca), this apartment is within a 15-minute walk of Costa Brava Beach and Ponta Verde Beach. Free self parking is available onsite.